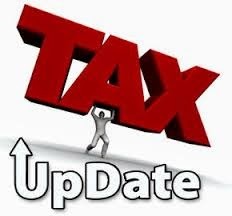 Institute of Company Secretaries of India (ICSI) has issued clarification about Tax changes applicability in Company Secretaries Examination to be held in June, 2015. Institute of Company Secretaries of India (ICSI) has published a clarification on it's website [www.icsi.edu] about latest Finance Act and other changes applicability for the CS-Students going to appear in Company Secretaries June, 2015 Examination. For appearing in the Paper "Tax Laws and Practice (New Syllabus)"
For appearing in the Paper " Advanced Tax Laws and Practice (Old or New Syllabus)"
Direct Taxes applicable for June, 2015 Examination shall be Assessment Year 2015-16 (Previous Year 2014-15). All the Circulars, Clarifications, Notifications, etc. issued by the CBDT & Central Government, on or before six months prior to the date of the respective examinations. Students appearing in ‘Executive Programme’ (in the 'Tax Laws and Practice (New Syllabus)' and 'Professional Programme' (in the 'Advanced Tax Laws and Practice') respectively may take note of the following changes applicable for June, 2015 Examination. All changes made by the Finance Act, 2015. All Circulars, Clarifications/Notifications issued by CBEC / Central Government effective six months prior to the date of examination. The primary objective of this Site is to facilitate the learning process of the students so that they may not waste their valuable time due to incomplete information. The Information published here in this Site may not be fully or entirely correct, so please refer ICSI Website for accuracy and authenticity. Do not copy and print any contant published in this site.